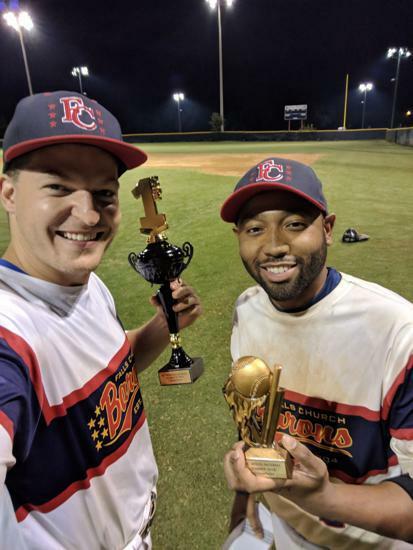 If you are a player or a team looking to join our League, click "Register" NOW to get signed up FOR Spring/Summer 2019! 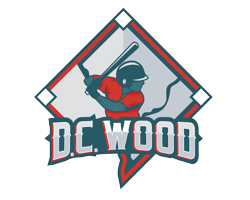 DC Wood kicked off the 2019 Spring/Summer season with a successful Opening Weekend, including a doubleheader on April 7 at the Nationals Youth Academy Field in D.C., featuring four of the league's oldest teams, the A's, Navigators, Senators, and defending champion Barons. Video will be posted soon. The Arlington Mallards opened interleague play with IBL, and the Mudcats and Thundercats got started with the first DH of the season. 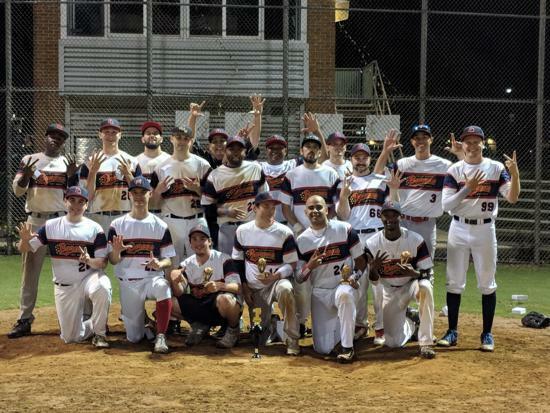 For nearly 20 years, DC Wood has been the top recreational wood bat league for the DC Metro area, with teams from DC, Alexandria, Arlington, Fairfax County, Loudoun County, Montgomery County, and Prince George's County. We are this area's premier wood bat recreational league for skilled players. We were the first modern era recreational league in the DC Metro area to abandon metal bats and return to the exclusive use of wood bats. You can read about the history of our league in the "About" section. The Mallards soared to a second consecutive victory over the Senators Thursday night at Blair, with both offenses producing much more effectively than in their previous meeting to the tune of 11 runs for the Mallards and 6 for the Senators, with 9 of the combined 17 runs coming across in the 8th inning. 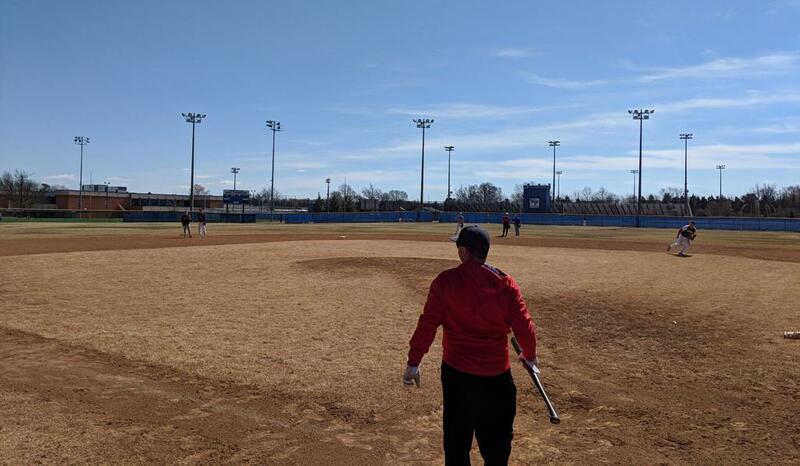 The league held a tryout and draft for free agent players at West Potomac HS on Saturday, March 16. All DC Wood teams sent representatives to scout the players who attended. After the workout, more than 40 players were drafted! 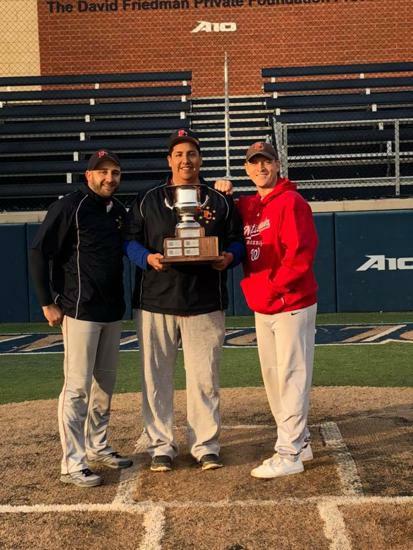 There was excellent weather and a vibrant atmosphere Thursday evening at West Potomac HS, where the six time defending champion Falls Church Barons and Alexandria A’s battled in a possible early season playoff preview. Both teams brought full squads, culminating in an A’s (4-0) win to remain undefeated by beating the champs 7-3 in nine innings. 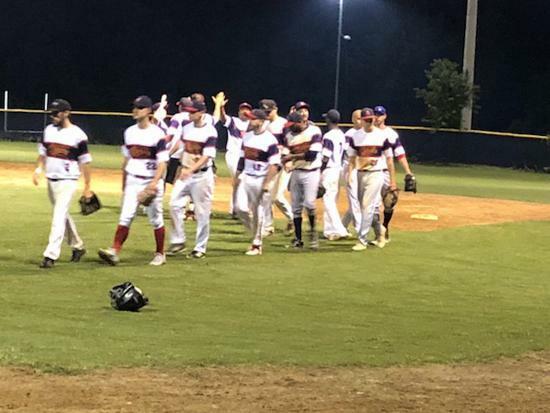 The Northern Virginia Navigators on Wednesday got back at the Mt Pleasant Mudcats in convincing fashion, on the heels of a 1-1 DH split that saw the Mudcats earn their first franchise victory in DC Wood. Nick Myers went the distance for the Navigators, giving up only 2 earned runs and leading them to a 16-7 lead before the game was called due to time. Myers also went 1-for-1 at the plate. The new-look Arlington Mallards picked up a gritty 3-1 win on the road over the formidable Senators on Thursday, employing a brand new approach on the mound to help guide them to victory. The Mallards, who were last in the league in 2018 in pitchers used per game (1.45 PPG) utilized a deep bullpen composed of familiar faces and savvy veterans, as well as a few newcomers who were welcomed with open arms, to keep the opposition guessing at the plate. 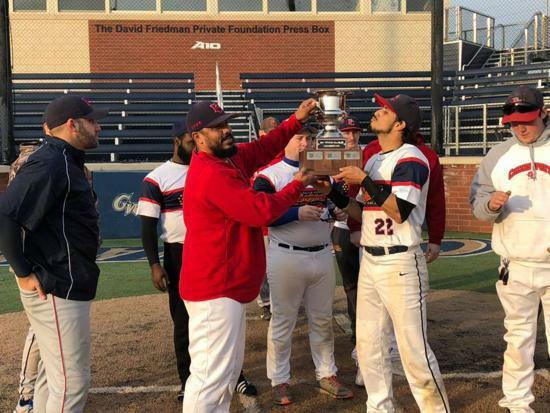 After the first two games of this Championship Series, it was not only that the Arlington Mallards had the defending DC Wood Champion Falls Church Barons down 2-0; it was also the decisive way they had done it. For the decisive game 5, with the series tied at 2-2, the Barons sent their ace, McClure to the mound. He was rudely greeted by the determined Mallards, and the Barons were down 2-0 before they could send a player to the plate in the first inning. When they did, however, it was clear that they were equally determined. Barnes sent the first pitch of the bottom half of the inning over the right field fence! Then, before the first inning was complete, the Barons’ McEnhimer smacked a two-run home run to dead center to give the Barons the final lead of this series. The Barons added 4 runs in the third inning, highlighted by a Glaser bloop single that drove in 2. The Mallards did not feel this ball game was over yet, however, and in the top of the fifth, the Mallards they got two runs to cut the lead to 7-4. But in the bottom of the sixth Shoenfeld's infield single drove in a runner from third. In the seventh, the Barons’ Ortiz sent a ball over the fence and way past the tree line in left centerfield, giving the Barons a their final 9-4 lead. The Barons’ McClure, who pitched well after surviving the first inning trouble, was dead tired as he took the mound in the ninth to finish his job, and the still game Mallards got runners to first and second with one out. 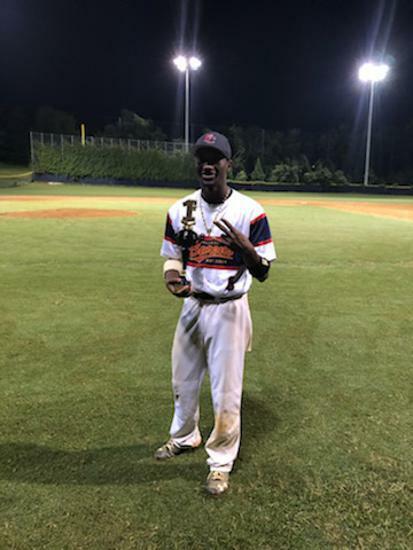 But when McClure got a big strikeout and an easy ground ball back to himself he was able to record the final out and complete the Barons’ fantastic comeback series win. 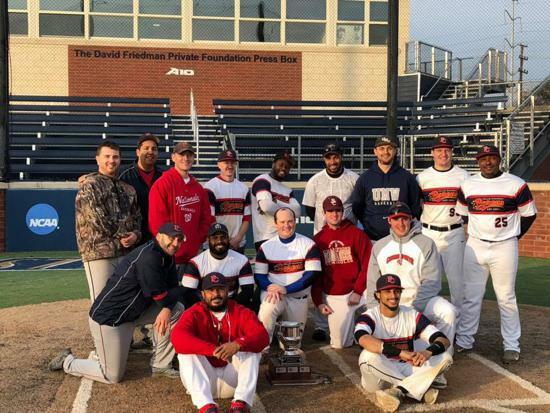 This victory gives the Barons their 5th consecutive D.C. Wood Title and cements their legacy as one of the best local adult baseball teams of the decade! 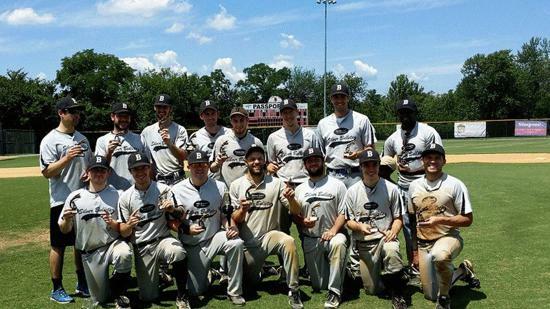 This is also the Barons 7th overall title. Caylor, Nelson, and Martinez have been a part of all 7! Congratulations to the Barons on their latest win and their tradition of excellence!